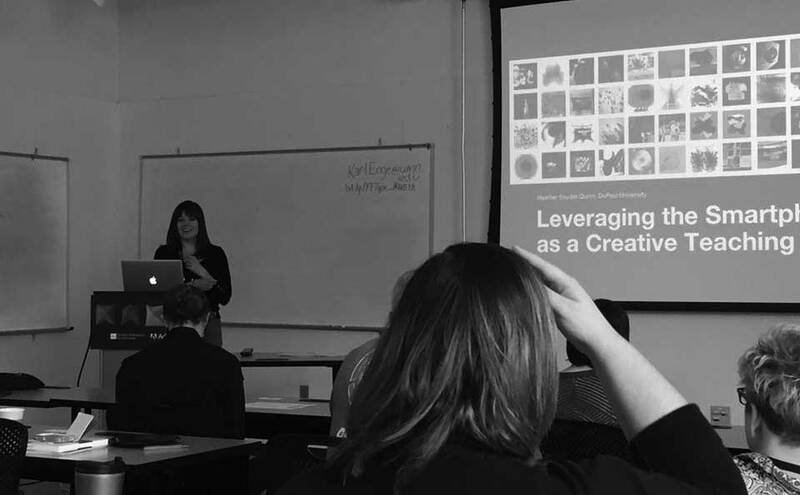 VCFA MFA candidate Heather Snyder Quinn recently presented at “Make”, the AIGA Design Educator’s Conference in Indianapolis, Indiana. Heather presented “Leveraging the Smartphone as a Creative Teaching Tool” to a packed house. Go, Heather!